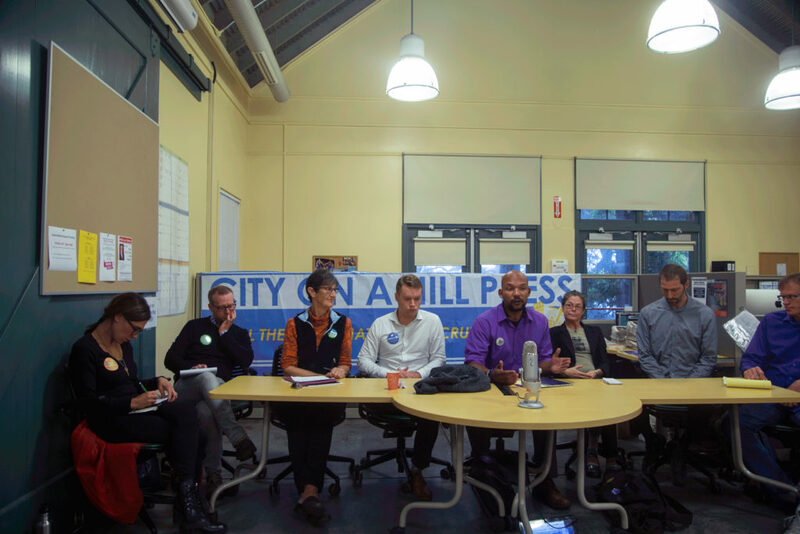 City on a Hill Press hosted a forum for Santa Cruz City Council candidates at the Student Media Center to discuss university expansion, police accountability, housing and other issues affecting UC Santa Cruz students. Special thanks to Banana Slug News for filming the candidate’s answers. Find your polling place by clicking here. Given the recent controversies surrounding Sean Arlt’s death, do you believe the current training of Santa Cruz Police Department officers is adequate? Are you in favor of the town’s current sleeping ordinance ban? Why or why not? If elected, or re-elected, do you support buying the Beach Flats Garden from the Seaside company by means of eminent domain, why or why not? How should the university work with the city in regards to the housing crisis and university expansion?